It has been a very busy few weeks and one of the exiting things that is in the process of happening is that my literary agent has informed me that he has some promising leads in trying to get one of my book drafts published. The book, which I have given the tentative title Mine Eyes Have Seen the Glory! Race, Religion, Ideology, and Politics in the Civil War Era began as one of the introductory chapters to my Gettysburg Staff Ride text and took on a life of its own. As I read, researched, and wrote my search led me to more and more aspects of slavery and abolition that opened my eyes to the very religious, and Christian justifications for both, especially the words of Southern preachers which I have a hard time getting out of my head because of how perverse those views were, and still are. Over the past couple of years I have posted parts of it on this site and I feel that it is really important work as so many of the issues of the ante-bellum era in regard to the institution of slavery: the Civil War with emancipation and the Thirteenth Amendment that outlawed slavery in the United States; Reconstruction with the Fourteenth Amendment which granted citizenship to freed African Americans, and which became foundational for other Civil Rights causes, and the Fifteenth Amendment which gave Black men the right to vote. These were followed by the Civil Rights act of 1875, and then with the end of Reconstruction came the return of White Rule, the overthrow of the Civil Rights Act, and the reestablishment of slavery by another name with Black Codes, Jim Crow, and violent White Supremacist groups, and finally the emergence of a new Civil Rights movement in the late 1940s. First Baseball and then the military were desegregated, then finally in 1964 the Voter’s Rights Act was passed and then in 1965 the a new Civil Rights Act. During the interregnum between the end of Reconstruction and the high point of the Civil Rights movement, many African Americans, famous, and those not so famous worked to establish equality. Men like Frederick Douglass, W.E.B DuBois, Jackie Robinson, Benjamin O. Davis and Benjamin O. Davis Jr., James Meredith, John Lewis, Dr. Martin Luther King Jr., and women like Rosa Parks fought discrimination, segregation and racism through peaceful protests and strong personal leadership and example. The Buffalo Soldiers served their country proudly even though they faced discrimination almost everywhere in the United States. But they all persevered. Their story is the story of America, and intertwined in it are the themes of religion, racism, ideology, and politics; sometimes used for the purpose of freedom, but all too often perverted to deprive others of that same freedom. The institution of slavery needed racist ideology and a theology to cover the evil that it was, and can be again. That is why I write about it, and why I led this article with the quote by Hannah Arendt. 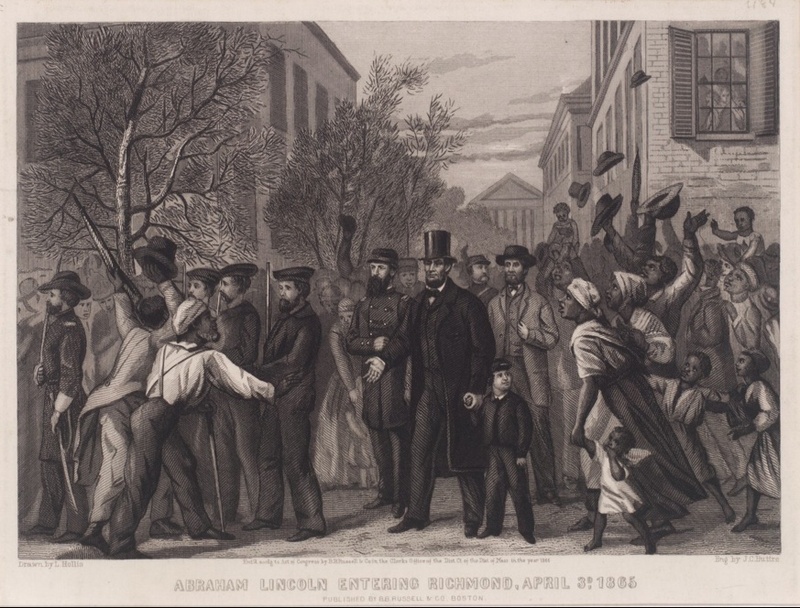 The fact that after a great Civil War that claimed the lives of about 750,000 American soldiers, North and South, that others within months attempted to re-establish slavery by other means, and then when Reconstruction ended succeeded in using the law to make Blacks both second class citizens as well treating them as less than human. The poison of this philosophy spread to Europe where Hitler and his Nazi Party zealots crafted race laws against the Jews that were based in part on the American model of Jim Crow and the Black Codes. The resurgence of White Supremacist groups across the United States and in Europe show us that we cannot ignore history without ourselves committing similar crimes against humanity. I guess that’s why I started this article with the quote by Hannah Arendt. It wasn’t just the enslavement of people, it was the institutionalization of that as well as its defense by ideologues, business leaders, politicians, and worst of all, supposedly Christian religious leaders. So anyway, that is why I write. Anyway, I’m going to have a lot to do working with my agent over the coming days and weeks. Have a great day. I’ll keep you posted. That’s interesting news Padre, and sounds very promising. You’ve had this book ‘in the hopper’ now for a while, and it will be great to see it get published! Keep writing, and keep charging.